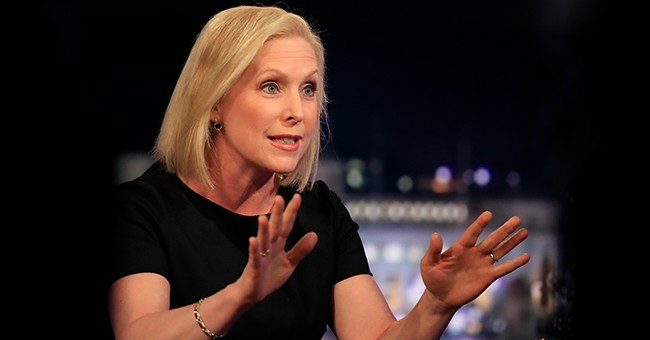 Sen. Gillibrand was asked what she would do as president to "enshrine asylum seekers and refugees and give them the opportunity to practice their right to seek asylum." “Immigration has always been a strength of this country,” she replied. "Our country was largely founded by immigrants and largely built by immigrants." "Our diversity has always been our strength," she continued. "It's what creates entrepreneurialism and innovation all across America for our entire history and in our best moments we have not been afraid of immigrants. In our worst moments, we have." "I would get rid of all of that,” she emphasized. “It should not be under Homeland Security. Immigration is not a security issue. It is an economic and a humanitarian and a family issue. So there is no such thing as an illegal human." "I believe we have to fundamentally transform how we treat people seeking asylum and refuge, because in my state and I know in your state, you have immigrant populations across this state," she added. "Refugee populations that make your economy stronger, that make your city and states stronger, that makes this country stronger, we should not be afraid of refugees and asylum seekers and mothers and babies seeking our help." Gillibrand has been very vocal recently in her opposition to Immigration and Customs Enforcement (ICE). She argued in July that if Democrats took control of the House and Senate the “first thing” they should do is abolish ICE.